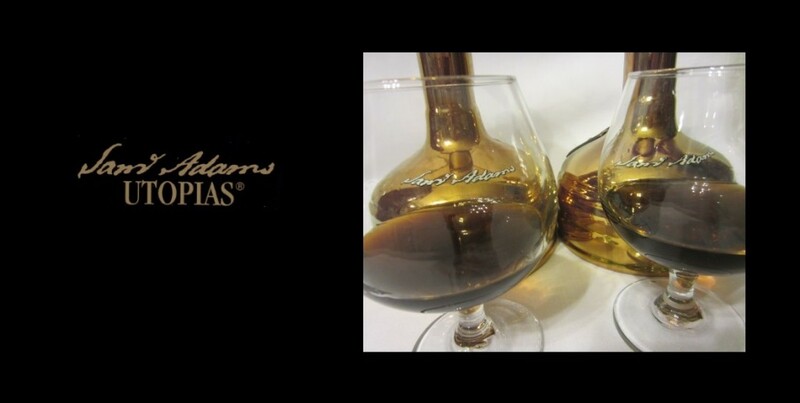 Samuel Adams Utopias has been described as one of the most sought-after beers on earth. World-class. On the “lunatic fringe” of craft beer. Radical. Extreme. Challenges the idea of what beer can be. Released in very limited quantity and only typically every other year, this rare beer is not just extreme in strength (with one vintage exceeding as much as 29% alcohol by volume), it’s also relatively extreme on the cost side of things with a single 24 ounce bottle retailing upwards of $200. 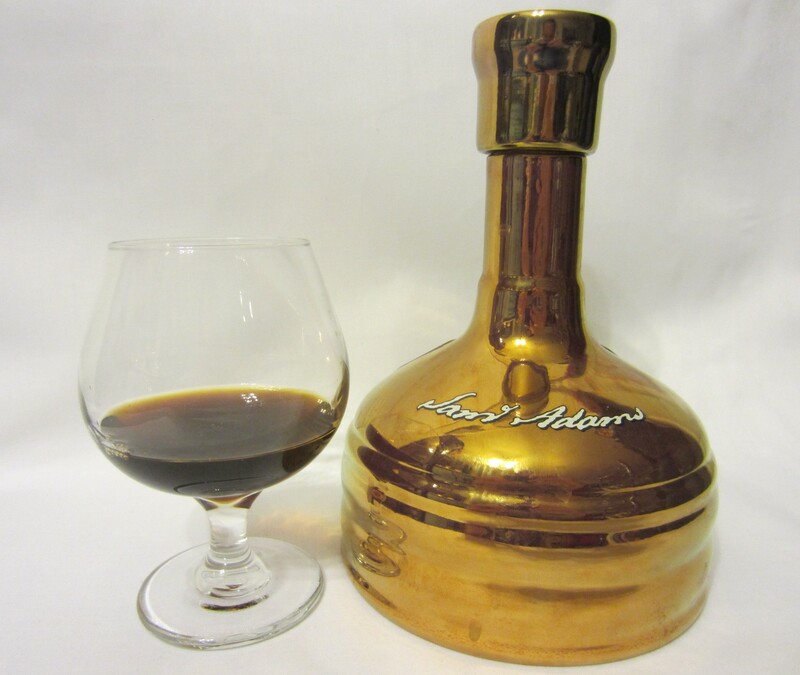 First produced in 2002 with an ABV of 24%, at the time Utopias achieved the Guinness Book of World Records title for ‘World’s Strongest Beer’, although there have since been stronger beers on the market, with at least one beer from the Scottish brewery “Brewmeister” reaching an ABV of 67.5%. But the intention with Samuel Adams Utopias is not to create a high strength beer for the sake of showing who can win an ABV contest, rather to produce a masterfully blended unique tasting experience. But at more than $200 a pop, the question naturally arises: Is it worth it? It depends. From an intrinsic value point of view, the answer is yes in the sense that about $200 fairly reflects the amount of time, craftsmanship, and effort that went in to making the beer. But if the question is: ‘Will every person find the experience of consuming Utopias personally worth about $8-$10 per ounce?’, then the answer is probably going to be no for a variety of reasons. For example, someone might argue that it’s more “worth it” to buy ten 30 packs of Bud Light for the same price of one bottle of Utopias, not to mention Bud Light is frightfully easier to come by. 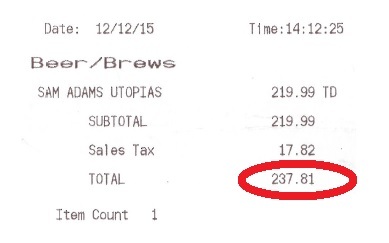 So let’s talk about what you get with a bottle of Utopias, assuming you can get your hands on one. To be clear, each vintage of Utopias is unique because each vintage is a different blend of various individual beers (even other vintages of Utopias) that have been aged in differing barrels going as far back as 22 years in the case of the 2015 vintage. And as an integral ingredient itself, Samuel Adams has quite the library of flavorful casks to choose from including bourbon, port, Scotch, sherry, rum, Hungarian oak, Madeira, Carcavelos, cognac, and Armagnac to name a few. Utopias attains its high ABV through natural fermentation with the use of highly alcohol-tolerant Champagne yeast, not by distillation, fractional freezing, or any other such method. The beer is flat and bottled in unique ceramic decanters modeled after the copper brew kettles used by brewmasters for centuries. Per the brewery, Utopias has an infinite shelf-life, getting better with age, even after opened and exposed to oxygen where subsequent oxidation is viewed as adding desirable complexity to the brew. Specially designed drinking glasses were also created for serving Utopias by world-renowned glassmaker Georg Riedel, and one can be redeemed complimentary from the brewery with the purchase of each bottle (upon request). So how does the Utopias 2013 vintage stack up against this year’s release? Quite well. In fact, our tasting panel preferred the 2013 over the 2015 in a side-by-side tasting, but it was close. To be fair, the 2013 was originally opened in December of 2014, and therefore has aged a bit more, which may have smoothed out some of the edges. And of course the 2013 and 2015 are two differently blended beers, so this isn’t exactly an apples to apples comparison which is why we refrain from calling this a “vertical tasting” like when two vintages of the same wine type from the same winery are tasted. How Long Can Samuel Adams Utopias be Aged?How Much Does Samuel Adams Utopias Cost?Samuel Adams Utopias 2013 ReviewSamuel Adams Utopias 2015 ReviewSamuel Adams Utopias ABVSamuel Adams Utopias DescriptionUtopias Alcohol ContentWhen is Samuel Adams Utopias Available?